strange behavior that is now threatening his marriage to Kim Kardashian. The latest Kanye West tweets are displayed on his twitter page where he took on the prestigious music awards the Grammys, by insinuating that the awards are leaning towards racism against a certain calibre of blacks and favouring other suit wearing blacks like him and rap mogul JayZ. He also went on to solicit publicly for help in paying off his mammoth financial debt. Its no secret that the rap star has somehow managed to rake up a 53 million dollar debt. A situation which has been clearly uncomfortable for Kim. But Kanye west's public pleas for help in paying his depth and his latest twitter stunts are some of the things driving the image conscious Kim Kardashian up the wall. As tensions rise between them, Kim though upset, is making an effort to stand by her man. She has adviced Kanye to seek therapy for his unstable behavior. She has even given him some sort of ultimatum. Although Kanye has publicly stated that apart from his money troubles, nothing is wrong with him. 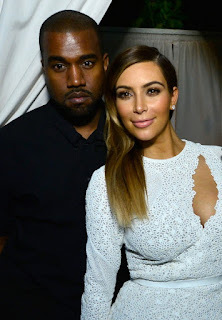 Kim is standing her ground in the face of embarrassing backlashes from Kanye's erratic behavior. Kim's mother Kris Jenner and the rest of her family will support any outcome in Kim Kardashian's marriage to Kanye. They will stand solidly by Kim. In the meantime Kim has stopped construction work on their new house as the situation escalates.